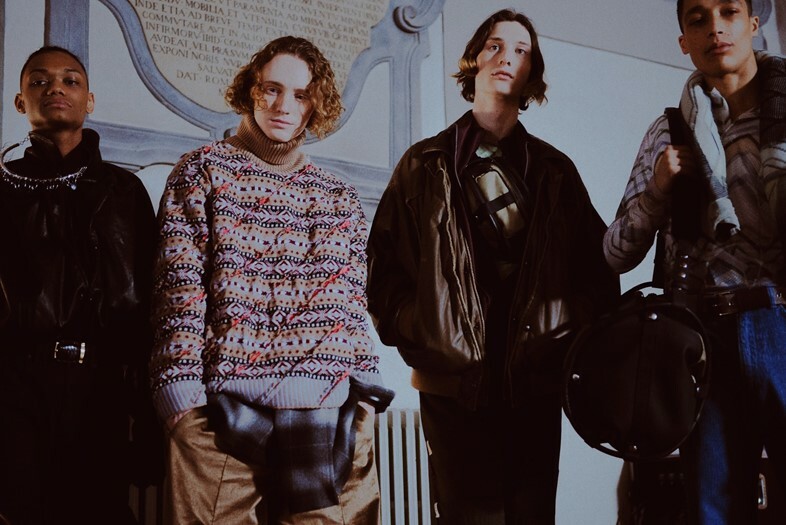 Last night, at the entrance of Basilica of Santo Maria Novella in Florence, guests arriving at Y/Project’s headline Pitti Uomo AW19 slot were handed mini flashlights. Initially to help them navigate its darkened halls and find their place next to the runway, as the show began it transpired that the audience were also going to be responsible for providing the lighting. 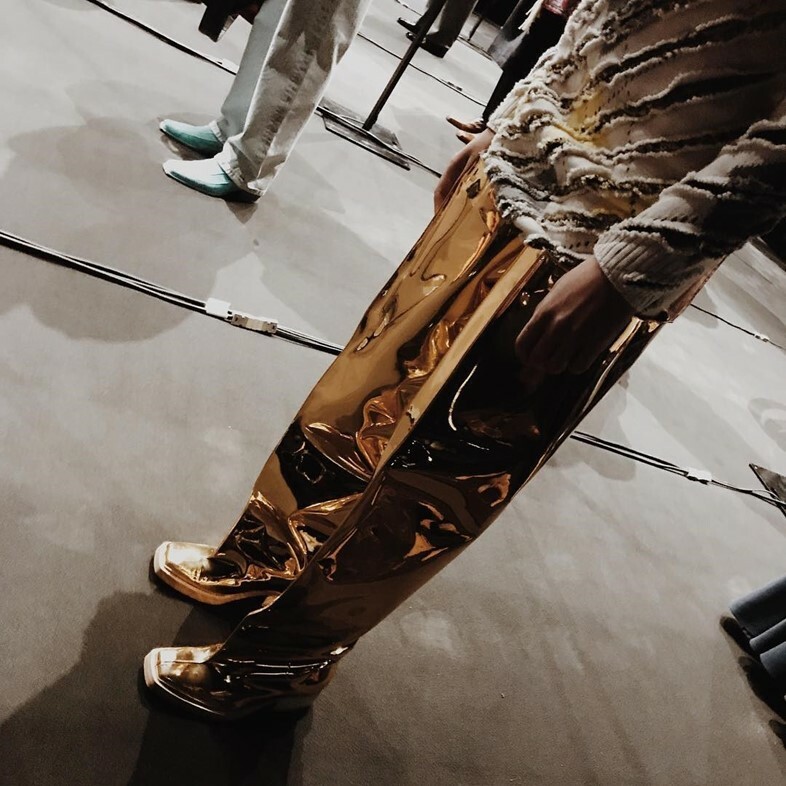 This also means everyone gets to wear thigh-high gold wader-esque boots for AW19 – a look everyone in our section tried to get a picture of but then forgot to aim our lights at, resulting in less than ideal snaps. Insert joke about how many fashion editors it takes to light a pair of gold boots, and a lesson about perhaps just letting the runway photographers do the photographing while we focus on taking in the show. There was also a ‘for the people’ thrift store vibe to the collection. Second-hand fleece finds were re-appropriated through Y/Project’s signature double-shoulders and tulle overlays, and a charity shop cowboy emerged, spliced with oversize suits tweaked to fit. Subtle Florentine tributes also popped up in the shape of psychedelic renaissance silhouette fake furs printed with stained glass church windows.